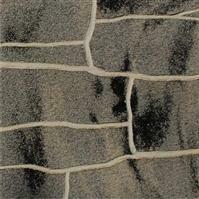 Flexible wall tiles come in a variety of shapes, colours, finishes and sizes. 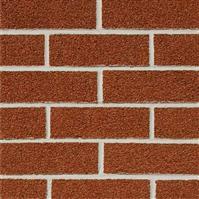 Neo Tiling offers you the look of a perfectly polished brick wall through the Classic Brick Flexible Wall Tiles. 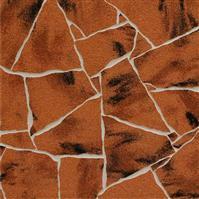 This type of tiles are a mixture of an acrylic dispersion and natural granules manufactured by a baking furnace technology. While the thickness of a plate is of 3-4 mm, the size is of 243 x 73 mm and that plays accurately the appearance of traditional brick. 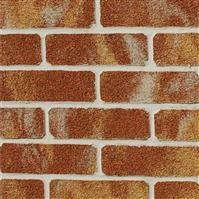 Classic Brick Flexible Wall Tiles can be successfully used as finish to embellish both interior and exterior walls, ensuring the protection of building’s structure at the same time. This product was designed for use on structures such as: homes, buildings, hotels, warehouses, restaurants, guesthouses, shops, bars, conference rooms, columns and pillars, public spaces, balconies, chimneys, fireplaces, sockets, parapets, terraces, cellars or some other mineral based surfaces. Compared to traditional brick tiles, these flexible ones can be easily fitted on curved surfaces or even edges without requiring special shapes. Being very light, they can be mounted at any given height. They are available in a wide range of colours and the acquisition costs are much lower: the product itself is cheaper and the transportation and installation cost less than it would for a project based on traditional brick tiles. While we can provide advice and explanations on how to do the assembly yourself by preparing the surfaces and performing the mounting technique, we encourage you to pick our trained professionals and save you the hustle of having to worry about the outcome. It is highly resistant to physical and environmental factors such as scratches, freeze-thaw, etc. In order to fit its backing, the panel can be cut with a cutter or scissors. If desired, a single board can be cut in various forms. 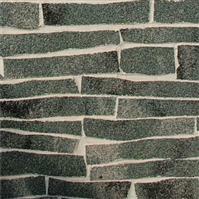 The joints between tiles can be in between 8-10 mm as desired. The colour of the joints is given by the colour of the adhesive used – in turn, this can be painted in any colour after installation by simply applying a layer of washable paint. The entire surface of the flexible tiles must come in contact with the adhesive. Wall edges and curved surfaces must be finished and the surface shouldn’t be perfectly smooth and glossy but have some roughness for better adherence.